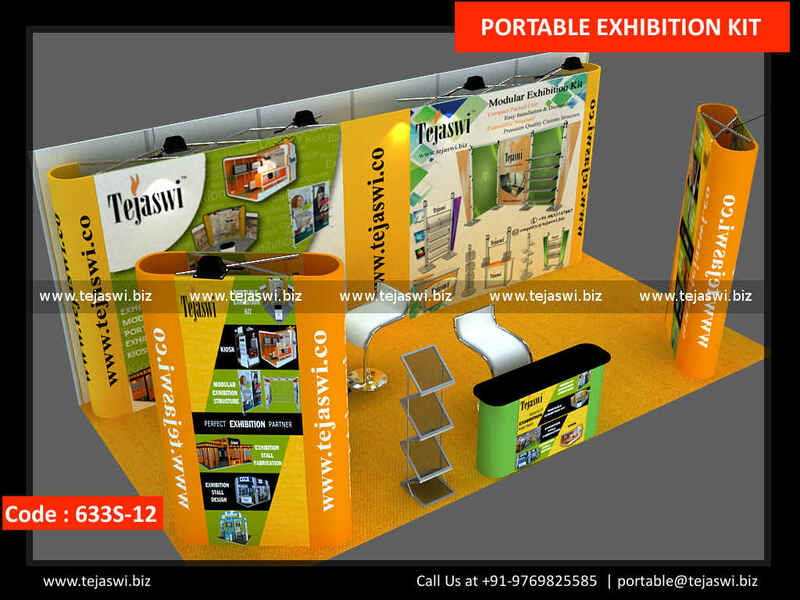 Exclusive Portable Expo Kit for Display in 6 Meter x 3 Meter Three Side Open Exhibition Stall Size. 6 Meter x 3 Meter Portable Expo Kit 633S-12 is a Classy Option for Global Exhibition Participation with Expo Stand Space Allocation of 3 Side Open 18 Square Meter Space. This 18 Square Meter Portable Exhibition Kit gives a edge over you competitors with High Quality Print on Backdrops, Classy Portable Counter and a Portable Catalogue Stand. This 6 Meter x 3 Meter Portable Expo Kit 633S-12 was custom made for Various Industry Participants Like: Automation , Electronics, Real Estate, Engineering, Information Technology, Food, Pharma, Chemical, Medical, Pumps, Tubes, Solar, Automobile etc. 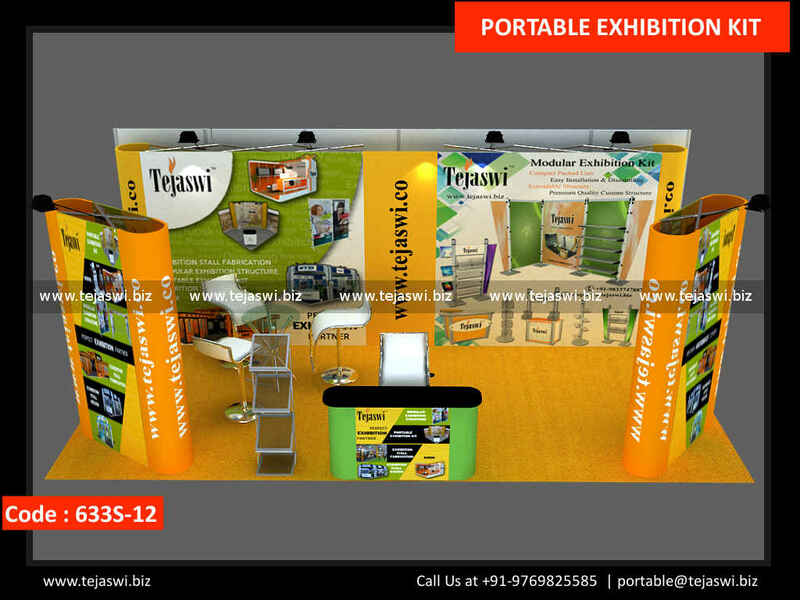 Exclusive Portable Expo Kit Solution for Multiple International Expo Participation because of Easy Setup and Installation, Minimum Setup Timeframe etc.